My friend recently told me that in 1977 when Star Wars was first released, people thought it was “escapist entertainment.” That in the shadow and aftermath of the long and deadly Vietnam War, Americans and the people around the world needed a new hope. They needed to escape from all of the horrors of their reality. They needed a simple world: one where Luke Skywalker was the great hero and he won. Star Wars was born and its universal success and love flourished. And it wasn’t just within that specific context that Star Wars grew into the cultural phenomena it is now. Generation after generation has enjoyed Star Wars. It is incredibly popular among the masses—from kids aged one to ninety-two. The sequels to the 1977 version continued the franchise’s success. In the 1990s the Special Editions brought in a whole new slew of fans. In the 2000s it was the prequels. And now in the 2010s, we have more Star Wars. It’s back. All of those incarnations of Star Wars have their critics, though. There are those who think the Special Editions did more harm than good (and after viewing them a few weeks ago, I tend to agree—let’s be honest, Han shot first), and those who wonder if Lucas simply forgot how to make movies when the prequels were released. Those prequels were filled with nonsense and had no one even close to the much-admired Han Solo in them. Jar Jar Binks just doesn’t make the cut. I’ve written a defense of Lucas before so I won’t rehash all of those points, suffice it to say, I give him a pass on those decidedly bad movies. Personally, I’ve stuck with the series from when I first fell in love with it in the 1990s until now. Along with thousands of others, to the tune of $517 million, I went to see The Force Awakens on its opening night (or really the night before the night). My faith never quivered about the series, to be honest, even if it waned a little. That’s also the general narrative of my faith in Jesus—it wasn’t always this strong and centered in my life, but Jesus was always there and always mattered to me despite the bad acting. Despite my aforementioned defense of the man, it is painfully easy to criticize Lucas’ 2000s-era effort. The prequels were just plain bad and people knew it. Many people list their faith in Star Wars when they just couldn’t bare Anakin’s horribly scripted dialogue and Hayden Christensen’s cringeworthy acting. They lost hope and faith in the franchise. It was during those same 2000s that George W. Bush’s two wars, soaked with language about God and American exceptionalism, caused many Americans, and many of my friends, to lose their faith, the faith they grew up with and loved as children. Enter J.J. Abrams, the savior of Star Wars, and The Force Awakens. I’m amazed that the film’s biggest criticism is that it mirrors the original so well. But, in my view, it was brilliant. What better way to awaken the franchise than to mirror the movie that started it all. We wanted a new hope in Star Wars and we got it. Critics have widely praised The Force Awakens and it keeps raking in the money. I doubt the next two movies will simply mimic Empire and Jedi, so the producers and directors have their work cut out to offer something new. But Abrams rehash was a great idea, truly. He paved the way for many disillusioned Star Wars fans to love Star Wars again and I think that says something. We can make a comeback. How we have felt in the past, our experiences, our emotions, our thoughts—they can change. You can make a comeback. Of course, I am not talking just about Star Wars. I’m talking about faith in Jesus. I’m talking about participation in the church. As good of a reason as Jar Jar Binks was to hate Star Wars, there are tons of good reasons to stop believing, and the presidential candidates give us more daily. But there are a lot of reasons to come back and find faith. Some people lose the fervor they had in youth group once they become an adult, or once the church plant is five years old or something. Not just for the sake of nostalgia, not just because a new movement reminds us of what was, but because it offers something new to us and to the world. So this Christmas and into the New Year, I pray that your faith awakens. You may have to do more than watch an action-packed, nostalgia-filled movie. 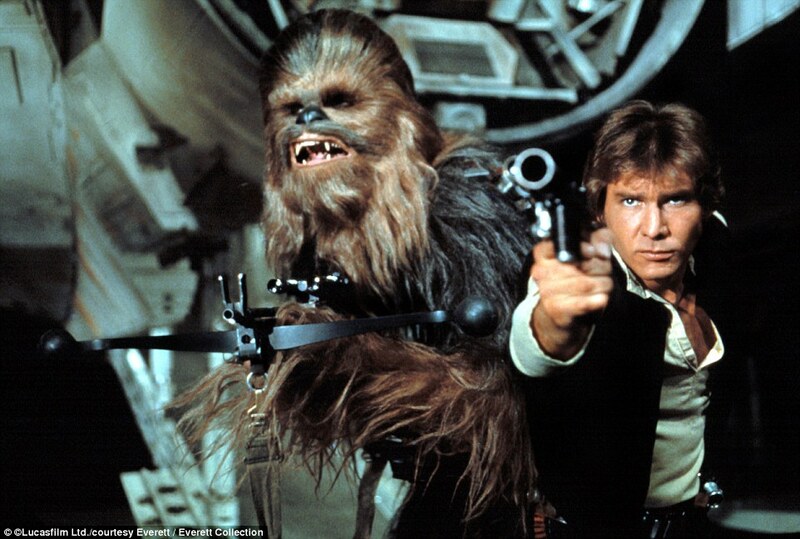 It might take more than “Chewie, we’re home.” I have a few simple suggestions. Pray. Nothing replaces this. And when our faith is waning, I think prayer is the ultimate act of faith. Without faith, our prayers may feel a little foolish, but with it they are deep and meaningful. And when we see one answered, it is medicine for our ailing belief. Worship. This is a conscious choice. You may have to fake it until you make it. Praise God, declare that you love him, especially in public and in community, and see if that doesn’t bring back some faith. Act. If you can’t quite get your mind still enough to pray or you aren’t ready to show up at a Sunday meeting. Try to act. Try to move. Advocate. Pursue justice. Make peace. Love a neighbor. See how the church is being the hands and feet of God and witness faith in action. Be. Finally, declare your identity in Christ. This might just mean saying, “I’m a Christian.” Hold on to your identity, even when you aren’t sure action will follow. I wear a chain around my neck with a cross to remind me of my identity and faith even on the darkest nights of the soul. I think comebacks are possible. I hope your faith awakens, like Star Wars did.